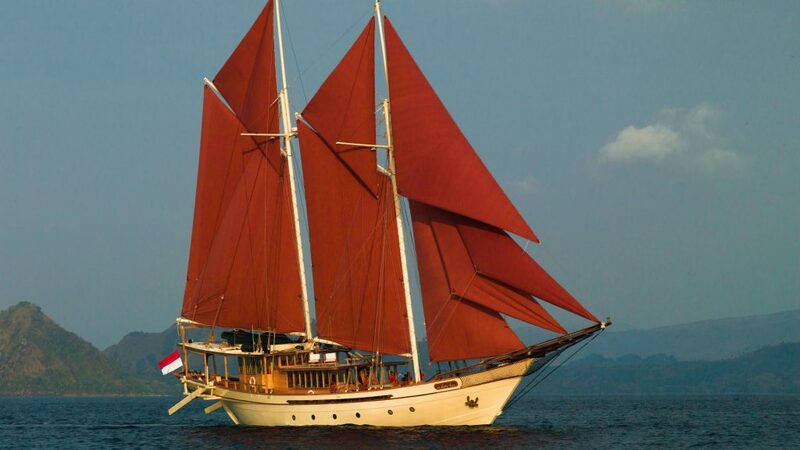 Sailing yacht SI DATU BUA is a modern classic sailing yacht measuring 40 metres in length over all launched in 2012. 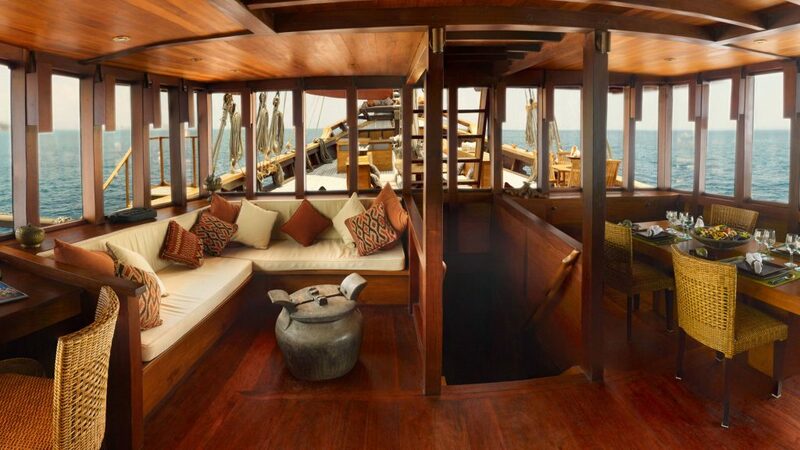 Beautifully hand-crafted, the classic superyacht Si Datu Bua offers her discerning charter guests a great opportunity to discover breathtaking scenery, fabulous underwater wonders as well as fascinating artistic expression during their charter vacation around South East Asia. 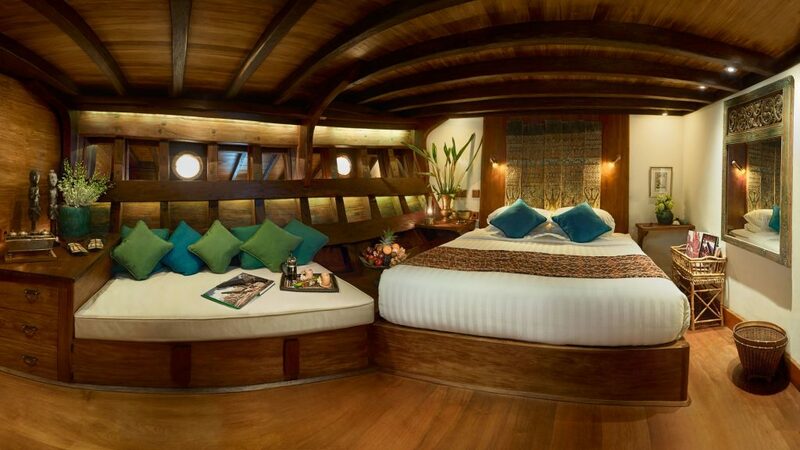 Accommodation aboard this unique and spectacular yacht is provided to 6 guests. 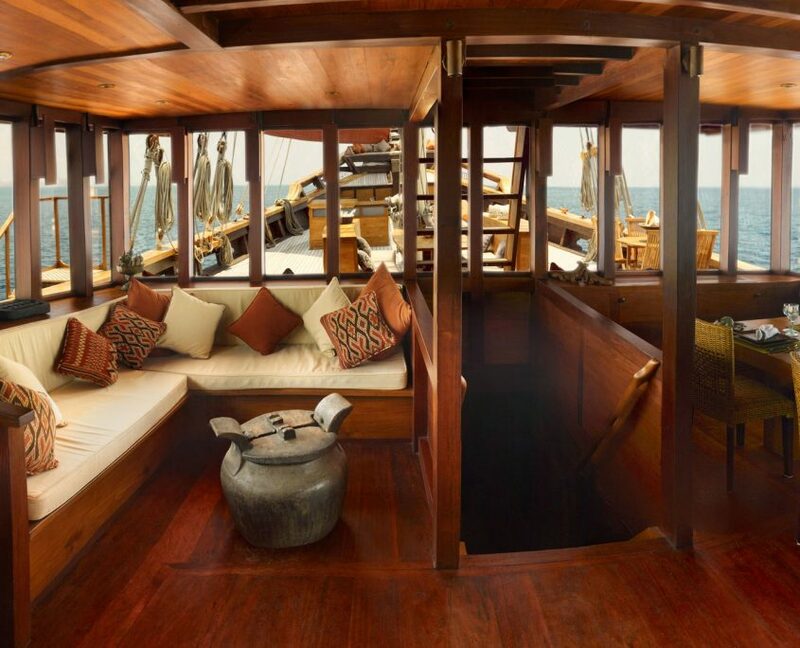 Luxury yacht Si Datu Bua is a replica of the famous Indonesian trading vessels known as ‘Phinisi’ and was constructed using raw materials specially selected with great attention. 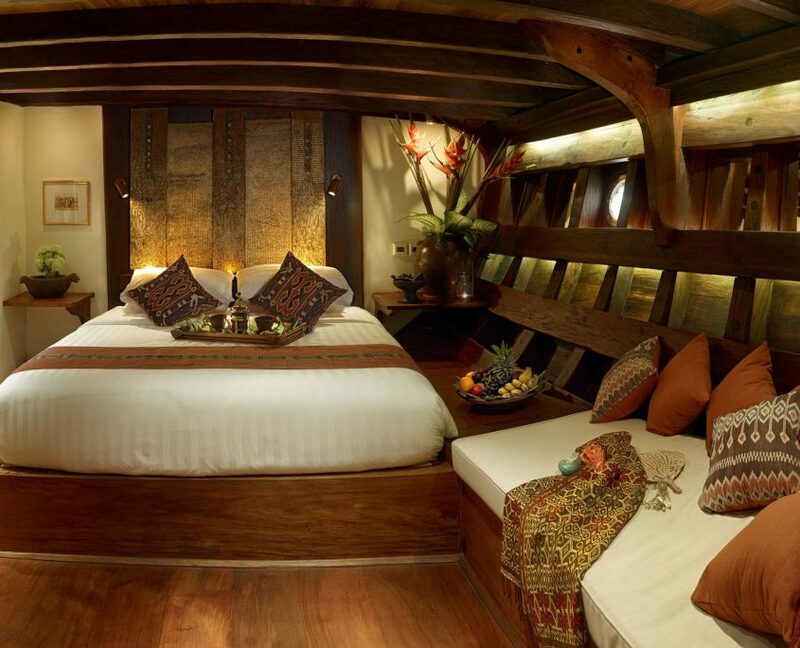 Her interior design features elements reflecting the rich cultural heritage and traditions of the island of Sulawesi with incredible attention to detail. 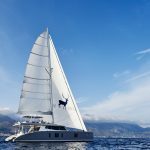 Charter guests aboard the modern classic sailing yacht Si Datu Bua find luxurious and elegant accommodation in two master staterooms and one double guest cabin. 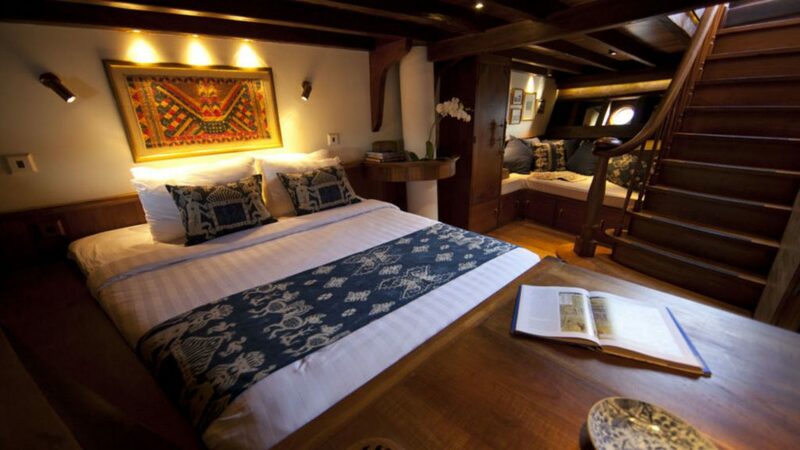 Their comfort is ensured thanks to a professional and friendly crew of 11. 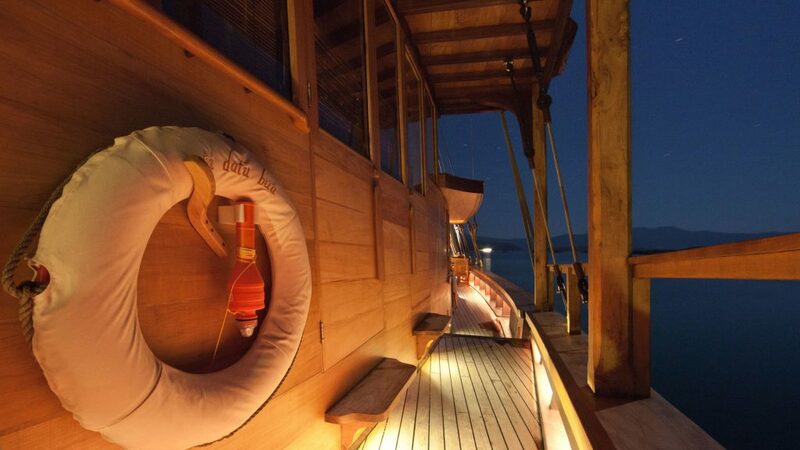 In accordance with the ancient traditions, the name Si Datu Bua was bestowed during a binding ceremony with wood shavings (considered the twin soul of the boat) collected from the ironwood hull. 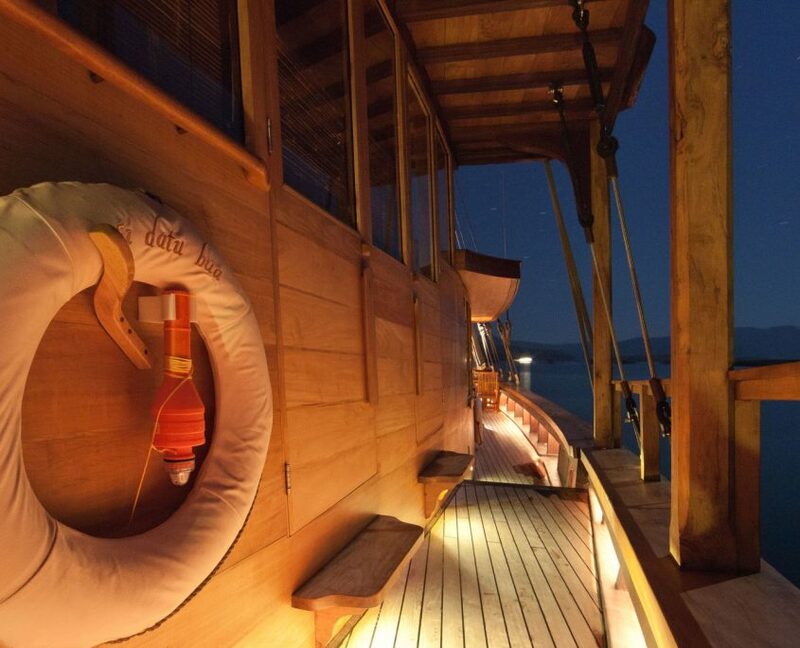 These are believed to have a mystical power of protecting the vessel, her owner as well as those who cruise aboard Si Datu Bua superyacht. 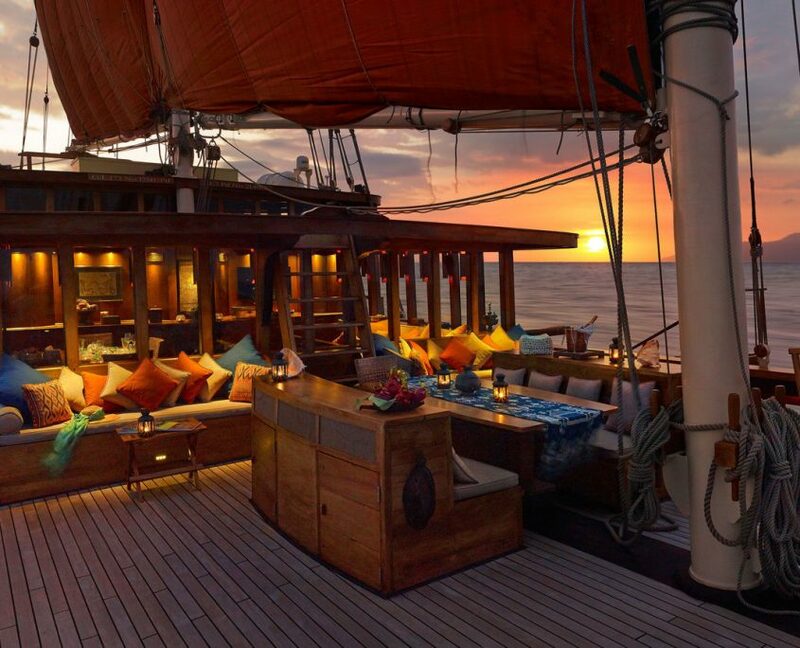 Charter holidays aboard Si Datu Bua sailing Phinisi will take you on a romantic journey following the ancient Spice Island Trade Routes, beginning with the Banda Islands, known as the home to the high-prized nutmeg. 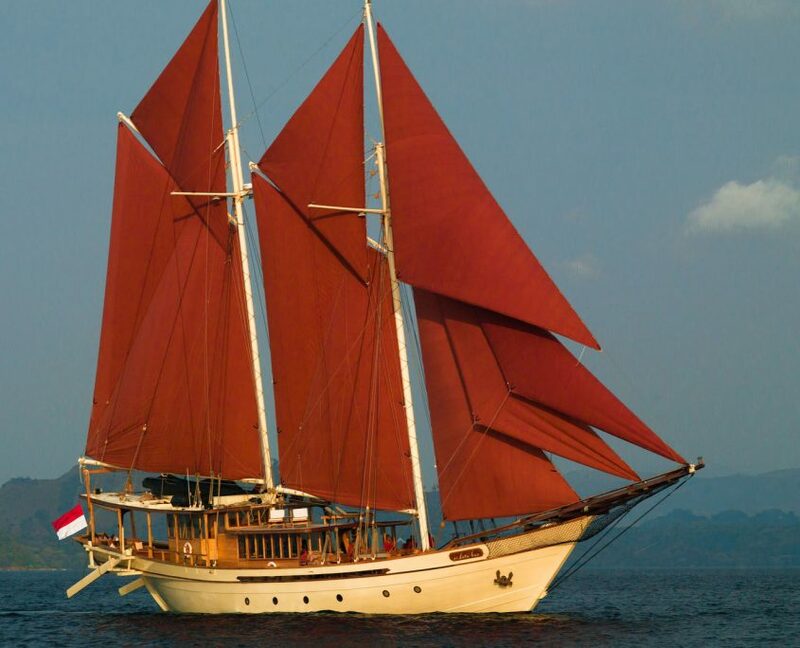 From Papua, Raja Ampat and Banda to Sulawesi and the Komodo region, you will have the opportunity to sail to beautiful places of this spectacular archipelago to experience its rich history, culture and the traditions of its people. 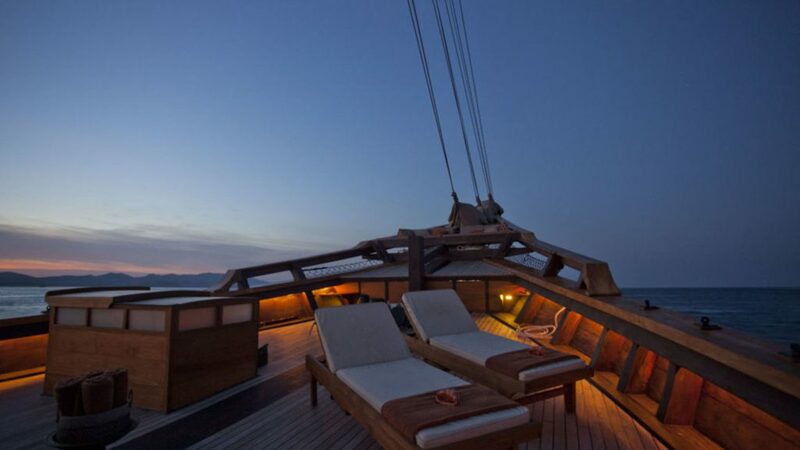 Si Datu Bua gives her charter guests the opportunity to dive or snorkel the best reefs in the world or relax on the amazing teak deck, shaded by the magnificent black sails. 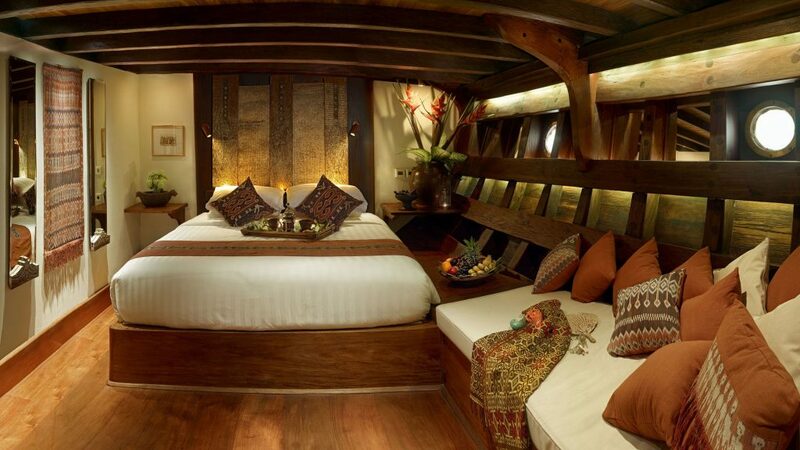 In addition guests can enjoy the finest wines and the most palatable Asian fusion cuisine prepared by her talented Executive Chef. 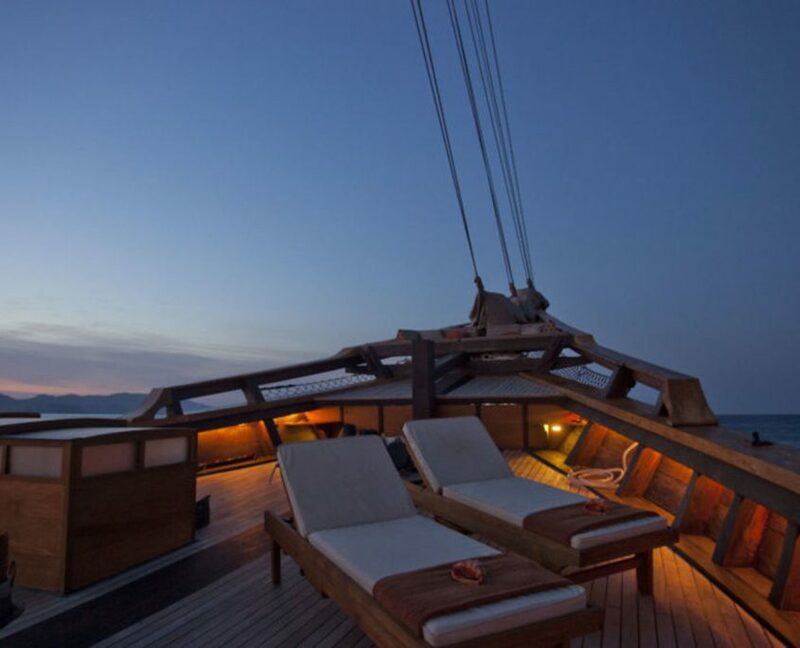 The classic sailing Phinisi SI DATU BUA is also available for Tandem Charters with the equally spectacular classic sailing yacht SILOLONA. 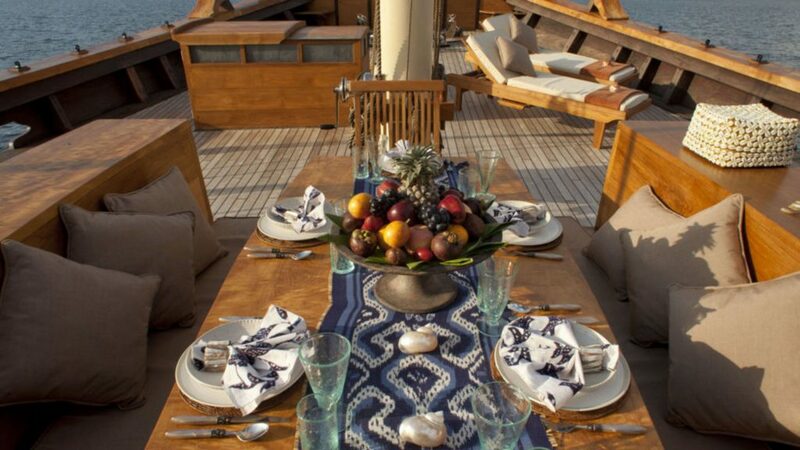 In tandem, the luxury yachts Silolona and Si Datu Bua accommodate up to 16 to 18 guests in 8 large guest suites. 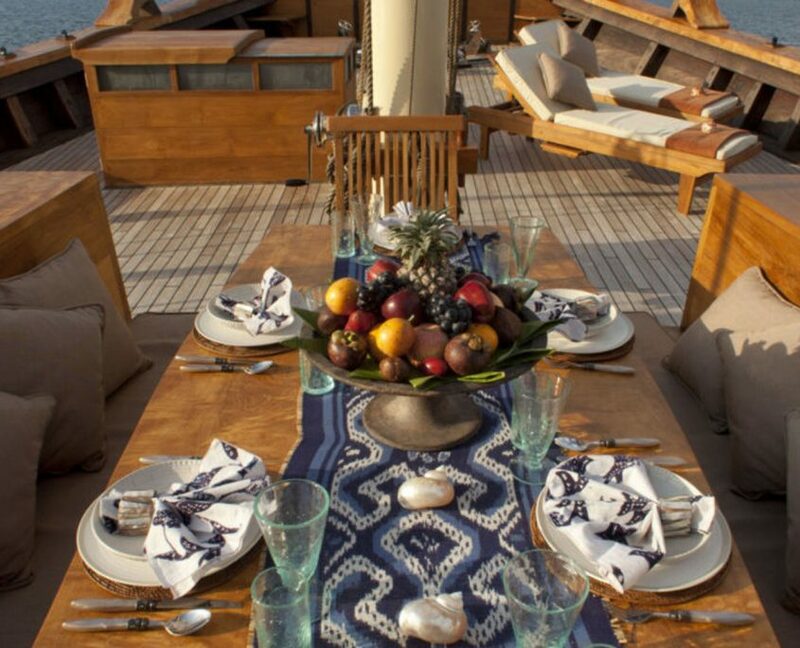 Tandem charters are excellent for special occasions, family celebrations as well as corporate events. Trip cost includes: All meals, snacks, bottled water & refreshments excluding alcohol; shore excursions as outlined on the itinerary; entrance fees and permits at our seasonal home ports; transfers to/from shore to the ship; services of English-speaking expedition leader; service of the Crew ; use of all water sports equipment including sea kayaks, dive equipment including wetsuits for certified divers, snorkel equipment, water skis, wake board, and fishing gear. 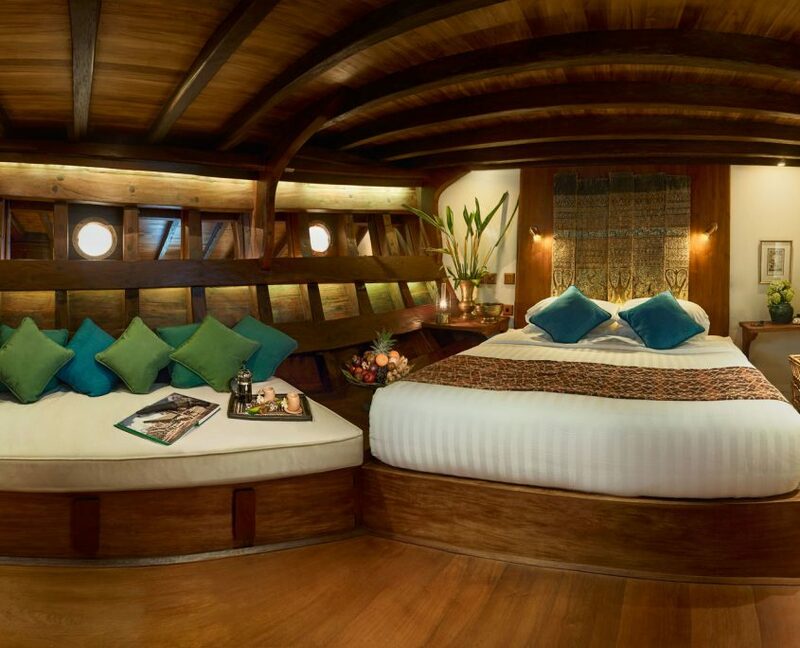 Trip cost does not include: Taxes which are US$4,500 per 7 day cruise fixed cost in East Indonesia (Papua/ Raja Ampat), Myanmar & Andaman Islands; En-route accommodations at stopover cities at the beginning and end of your trip; aircraft charter fees; international airfare; domestic airfare; excess baggage fees; passport, visas or airport departure fees; entry permits, ports and handling fees outside our seasonal bases, alcoholic beverages; corkage fee; land expedition and cultural program costs; PADI dive certification courses; end-of-trip crew gratuities; telecommunication costs for satellite phone & email charges; repositioning fees; all government taxes; cancellation & medical insurance. 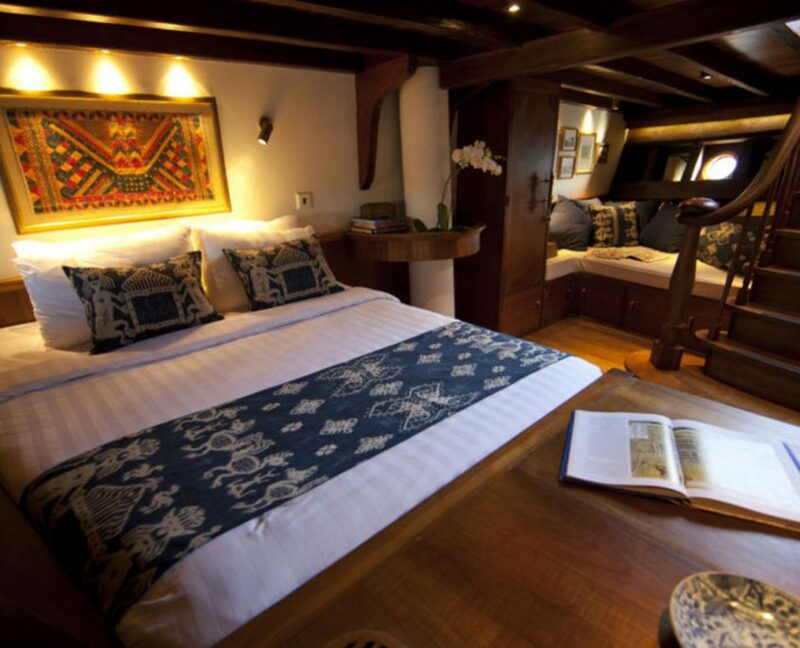 Accommodation aboard traditional sailing yacht Si Datu Bua is offered in three elegant and spacious cabins, including two Master Suites and one double guest cabin. 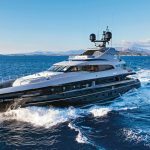 Six charter guests are guaranteed utmost in comfort thanks to a friendly and professional crew of 12, including a Dive Master and an Executive Chef.